In June 1968 Elvis Presley taped a television special to be broadcast that Christmas. 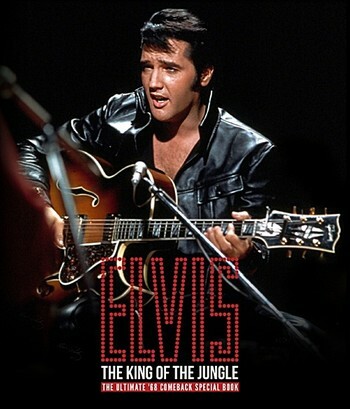 The TV special "Singer Presents Elvis" was a milestone in sixties' music and a key to Elvis' musical renaissance. "A moment of change, when what was lost is found again. Elvis was lean and chiselled and -- what he had not seemed in years -- a little dangerous." Featuring 546 pages the book includes a detailed look at everything that took place at the historic taping and recording sessions. It also includes eye-witness reports from lucky fans that were present at the legendary NBC performances.